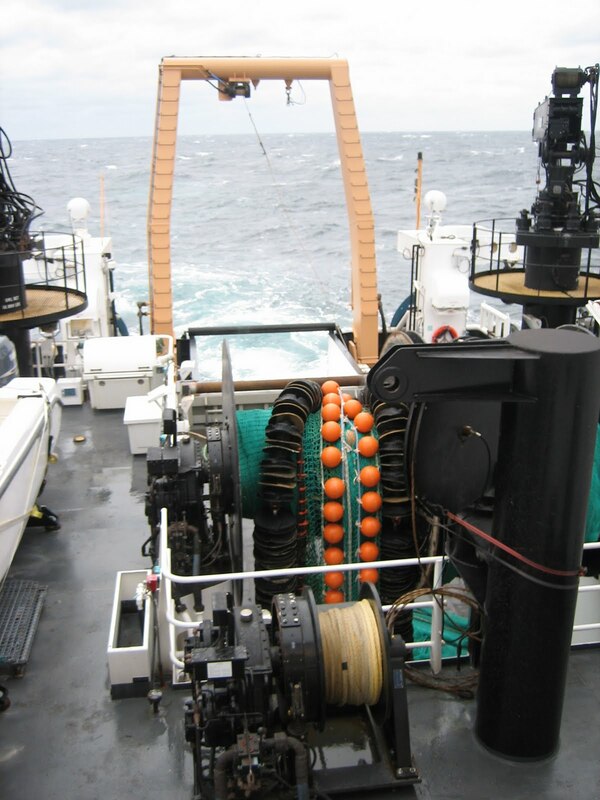 In addition to collecting data about fish species in the Southern New England Atlantic Ocean, NOAA Ship Henry B. Bigelow is also collecting information about the ocean’s climate and plankton numbers. 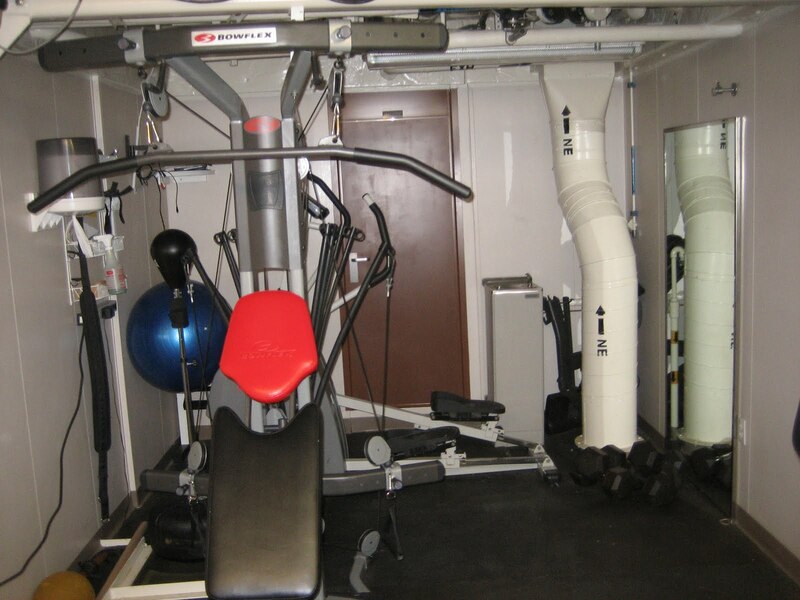 lankton refers to microscopic plants (phytoplankton), animals (zooplankton), decomposers (bacterioplankton), and the fish eggs and larvae of larger fish (ichthyoplankton). Plankton forms the base of the ocean food web. Phytoplankton is the food source for zooplankton, which in turn is the food source for larger fish. Water salinity and termperature (climate) are directly related to the production of plankton. A change in climate can cause a decrease in the production of plankton, therefore, less food for developing fish species. Low numbers of fish at the bottom of the food web means less food for fish at the top of the food web. 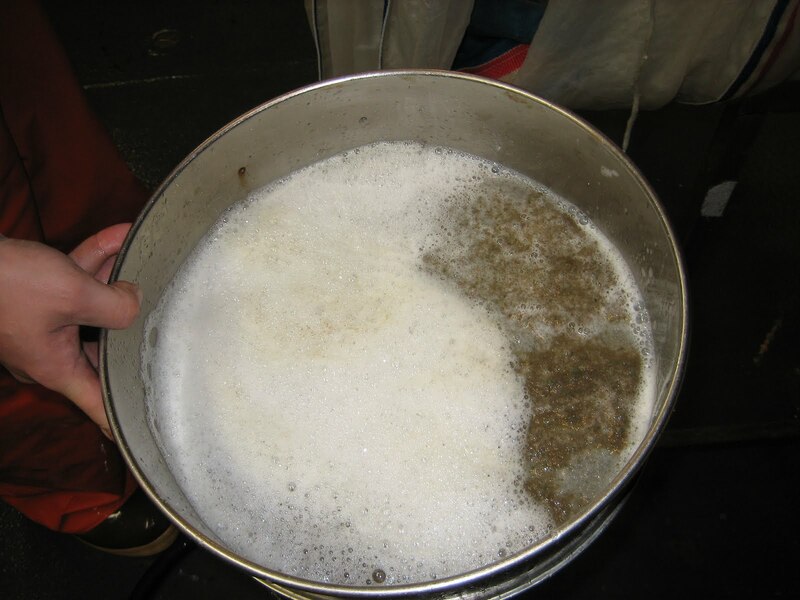 Plankton samples are taken at random trawl stations during the cruise. I had the opportunity to observe and assist the Senior Survey Technician, Jim Burkitt, during one sampling. 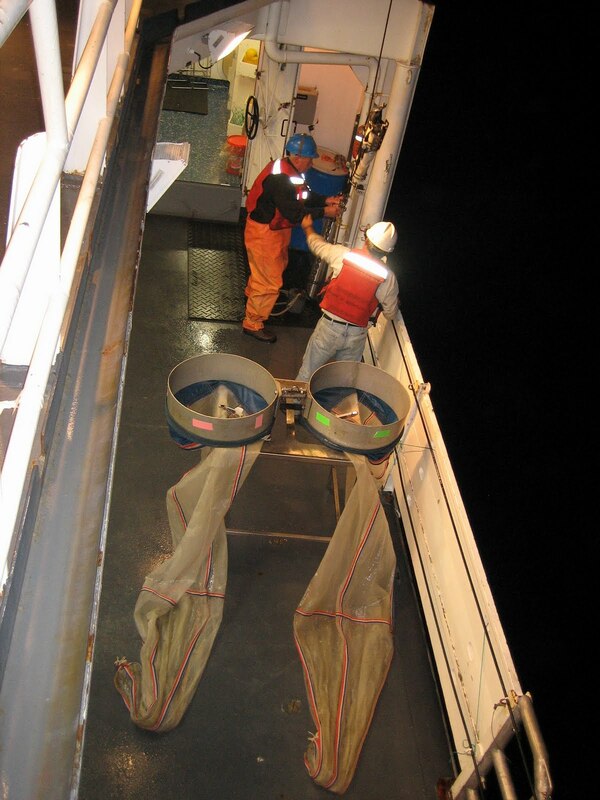 Burkitt uses a Bongo Paired Zooplankton net system, which consists of two stainless steel cylinders with instruments that measure water flow, and two cone-shaped, fine mesh nets attached. The nets are lowered into the ocean and dragged alongside the ship for a specified amount of time, and at all levels of the ocean column. Burkitt monitors the location of the nets via computer during the sampling to ensure that the nets do not touch the ocean floor, thus gathering sediment instead of plankton. 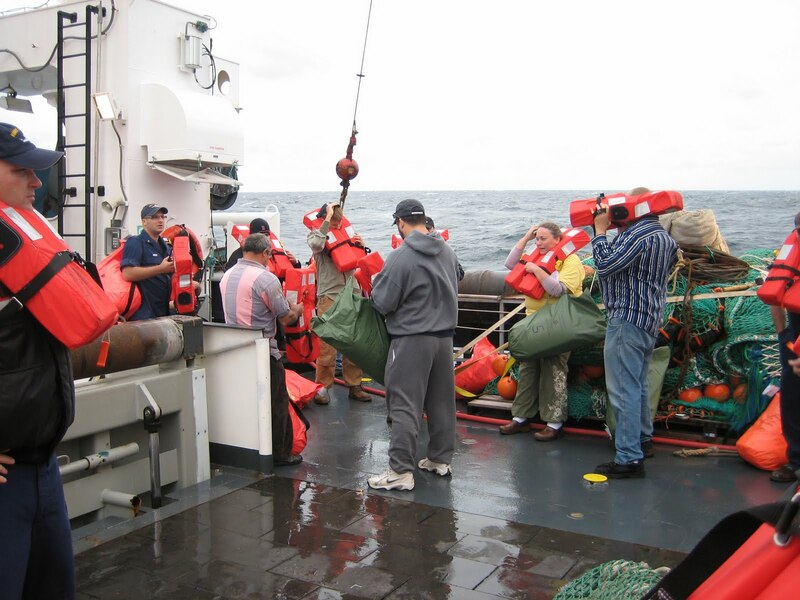 The crew retrieves the nets at the end of the sampling period and places it on the deck of the ship. Once the nets are back on deck, we rinse the plankton from the top to the narrow, tied end of the nets byspraying the nets from the top towards the bottom. 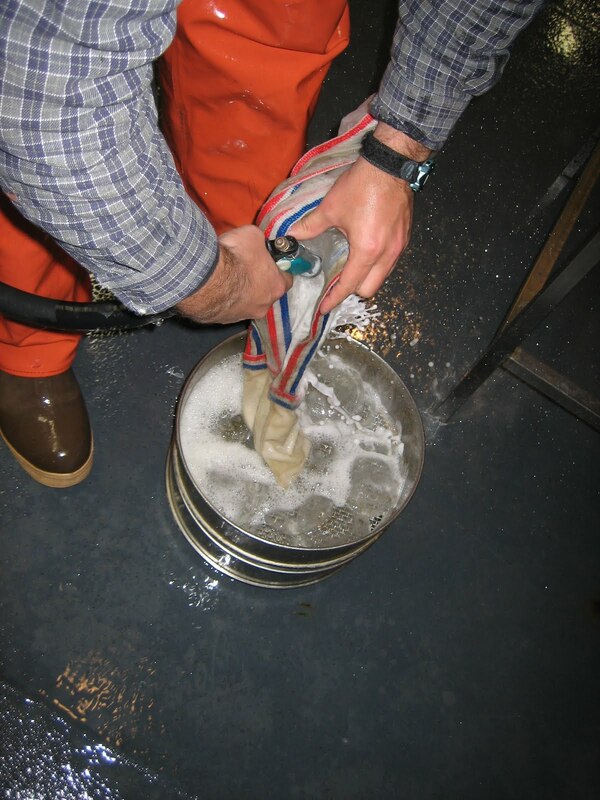 When the catch is located at the bottom of the nets, we untiethe bottom and continue rinsing the sample into metal strainers. 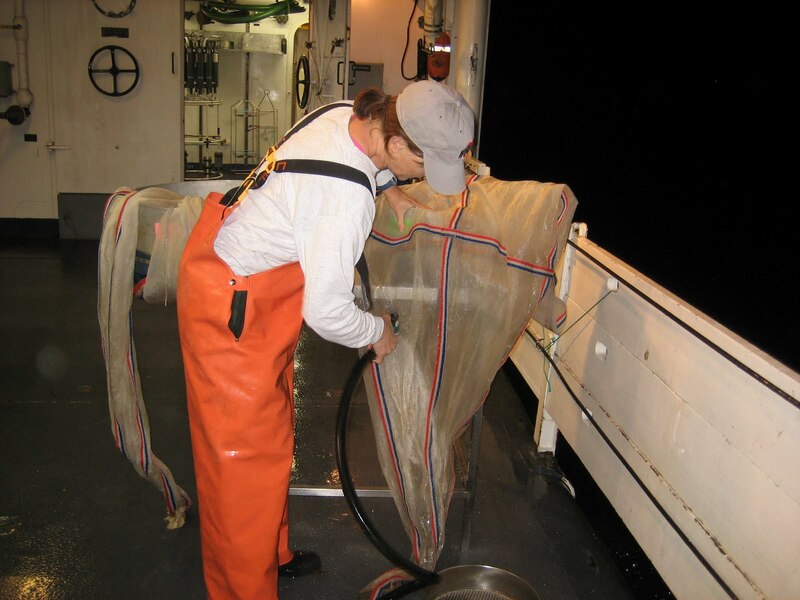 The top strainer has a large mesh screen to trap jelly fish and other organisms trapped in the net and to allow the smaller plankton to fall through to the lower strainer, which has a very small mesh screen used to collect the plankton sample. 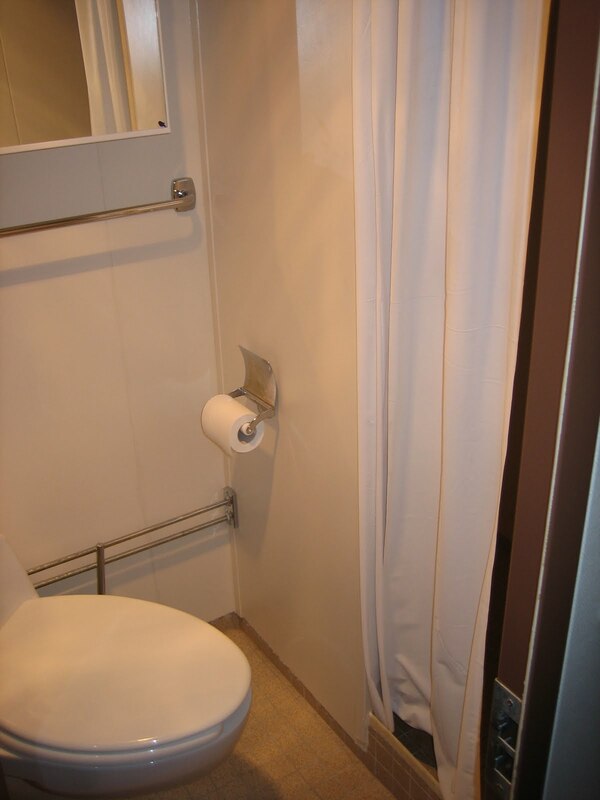 Here is what the sample looked like. Finally, we carry the samples into the lab where we rinse the plankton into jars, add formaldehyde as a preservative, and seal the jars. The jars will be taken to the lab in Woods Hole for further analysis. Even though many of our towing days were lost to gale force winds, we did end the cruise by catching some interesting species. 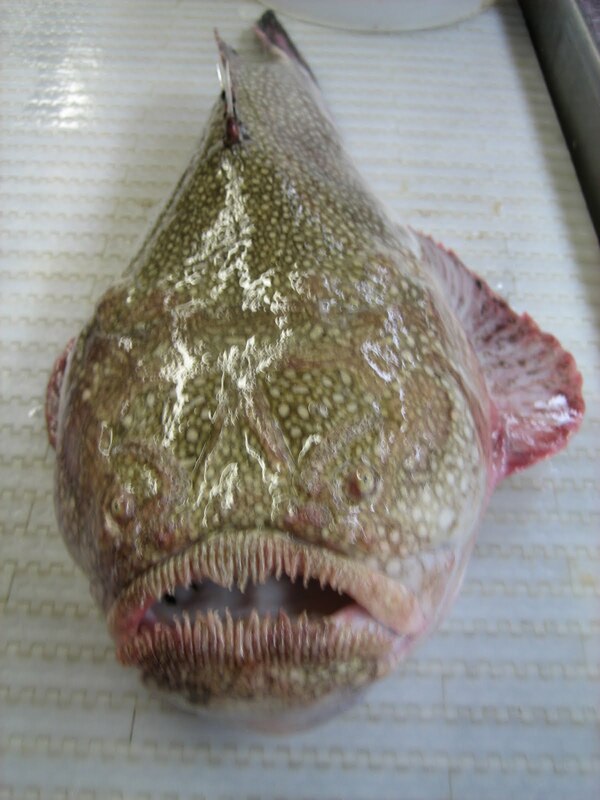 First, was the Northern Stargazer (Astroscopus guttatus). The Northern Stargazer is found in shallow waters along the eastern seaboard from North Carolina to New York. It has a large head, small eyes on top of its head, and a large upward turned mouth. The Northern Stargazer buries itself in the sand on the ocean floor and waits for prey to swim by. Northern Stargazers also have an electrical organ around the eyes that can give us a jolt if we touch it. 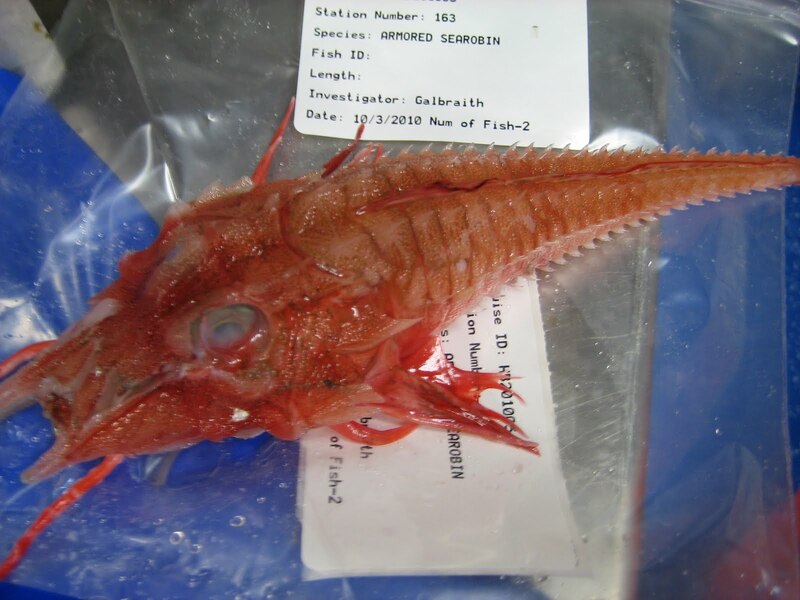 Another interesting catch was the Armored Searobin (Peristedion miniatum). This species is bright crimson and is totally covered with bony plates. It can grow to be 13-14 inches long. It is found in the warm waters along the outer edge of the continental shelf in waters from Georges Bank off of Cape Cod, Massachusetts all the way down the Atlantic to Charleston, South Carolina. 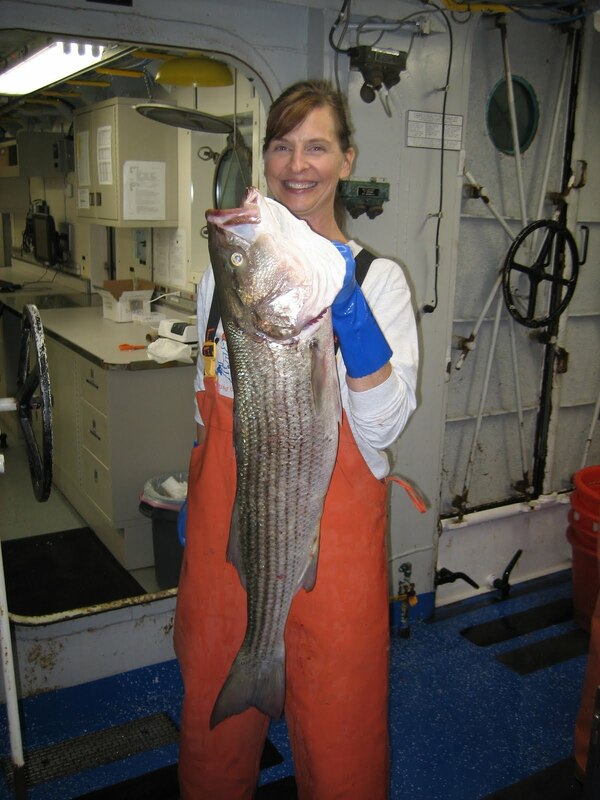 Our most exciting catch came when we hauled in 212 striped sea bass! Striped bass occur along the Atlantic coast from the St. Lawrence River in Canada all the way down to Florida. They live near the coast, in bays and tidal rivers. 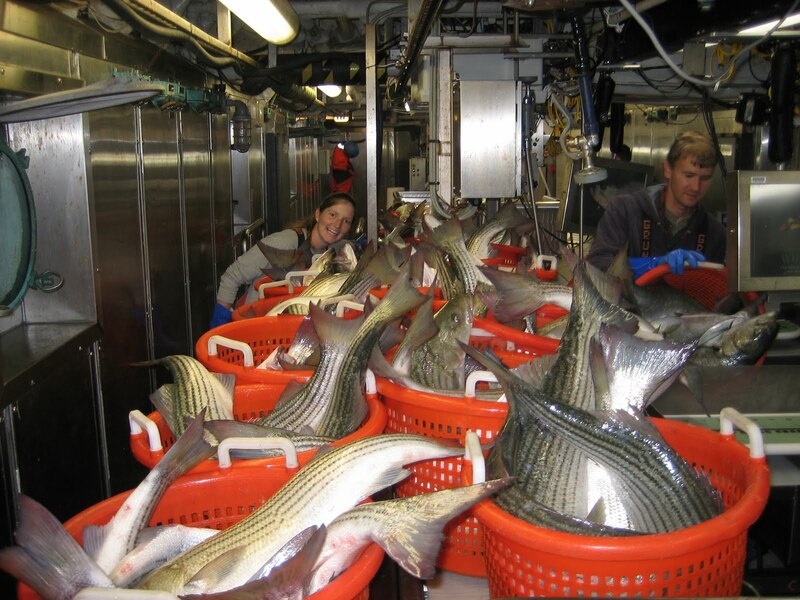 Striped bass have been very important to the United States fishing industry for centuries. The largest one we caught was 103 cm long and weighed 11.26 kg! 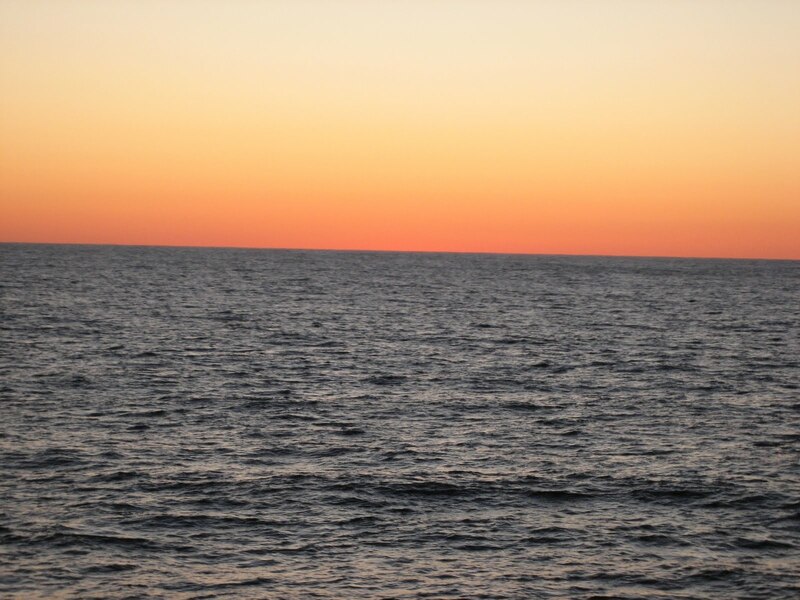 I thoroughly enjoyed my time working and learning during the second leg of the Autumn Bottom Trawl Survey cruise. It was a great opportunity to see research at work in a real world setting, and I’m sure my students will benefit from everything I’ve experienced. 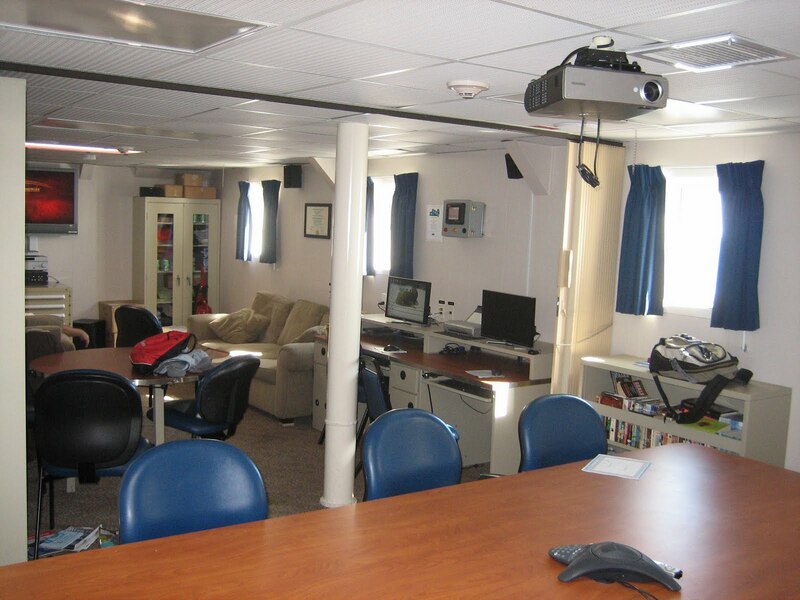 I want to thank the scientists from the Northeast Fisheries Science Center (NEFSC), the NOAA Teacher at Sea Program, and the crew aboard NOAA Ship Henry B. Bigelow for allowing me to be a part of your lives for twelve days. If any of you teachers out there are interested in applying to the Teacher at Sea Program, I highly recommend it. Check out their website at http://teacheratsea.noaa.gov/. 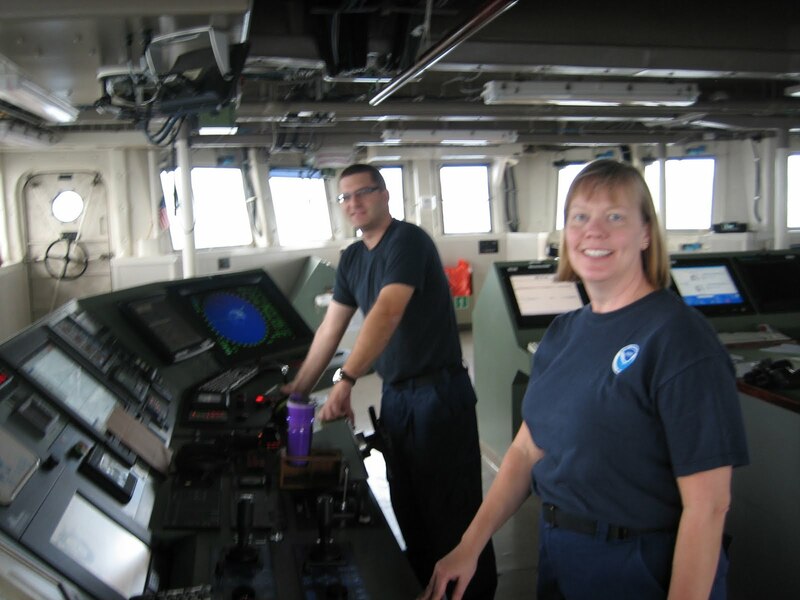 Stacy Rowe, of the Northeast Fisheries Science Center, in Woods Hole, Massachusetts is the Chief Scientist for our cruise. I had a chance to talk with her about her background, experiences, and job while we were waiting to leave port today. 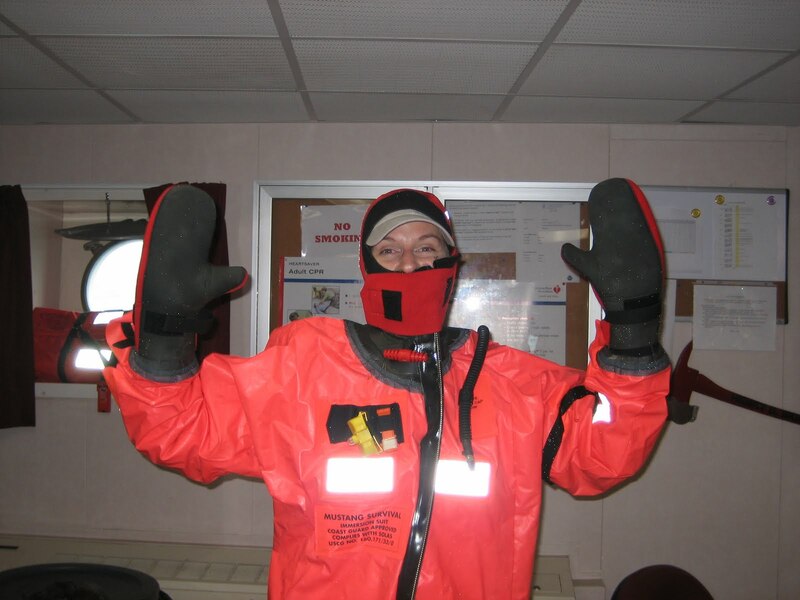 When working onshore, Rowe is responsible for pre-cruise preparations, such as ordering supplies for the trip and coordinating the collection of special samples for in-house and out-of-house scientists. 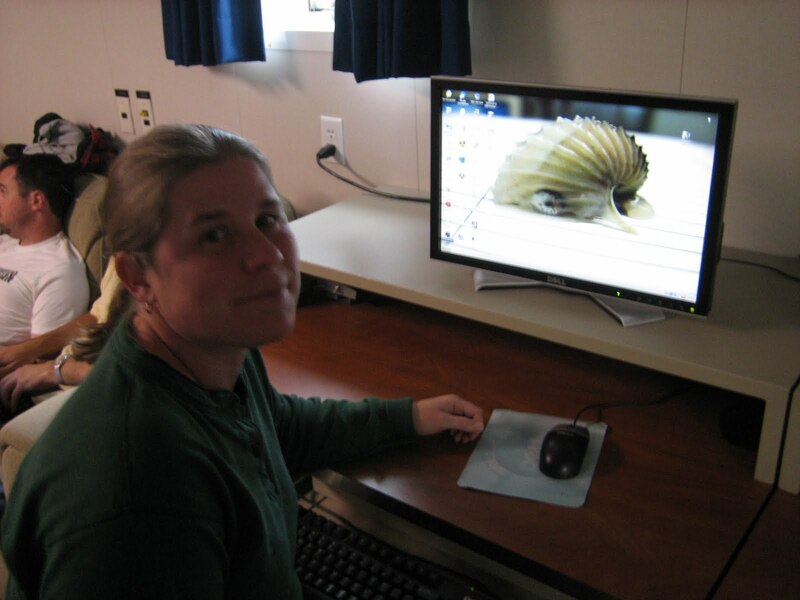 She also works on testing a new version of FSCS (Fisheries Scientific Computer System), which is the system we are using to collect data about the fish populations. 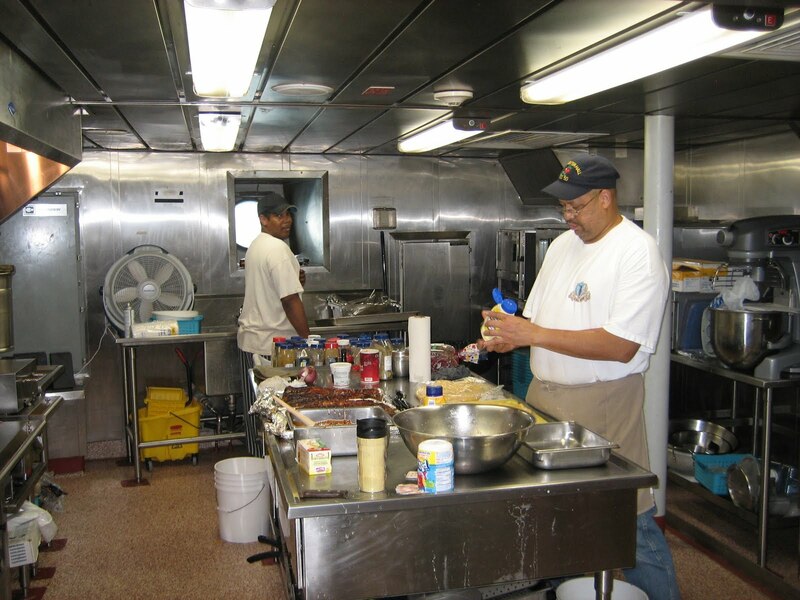 During the cruise, when serving as Chief Scientist, Rowe shoulders a lot of responsibility. 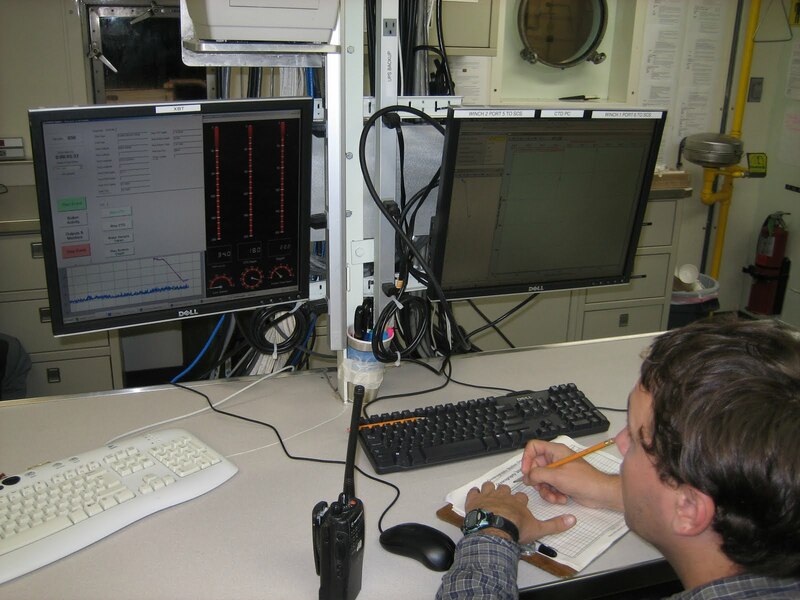 She schedules the watch teams, works with both watch teams, and acts as a liaison between the scientists and the ship’s personnel on the bridge (the room from which the boat is commanded). 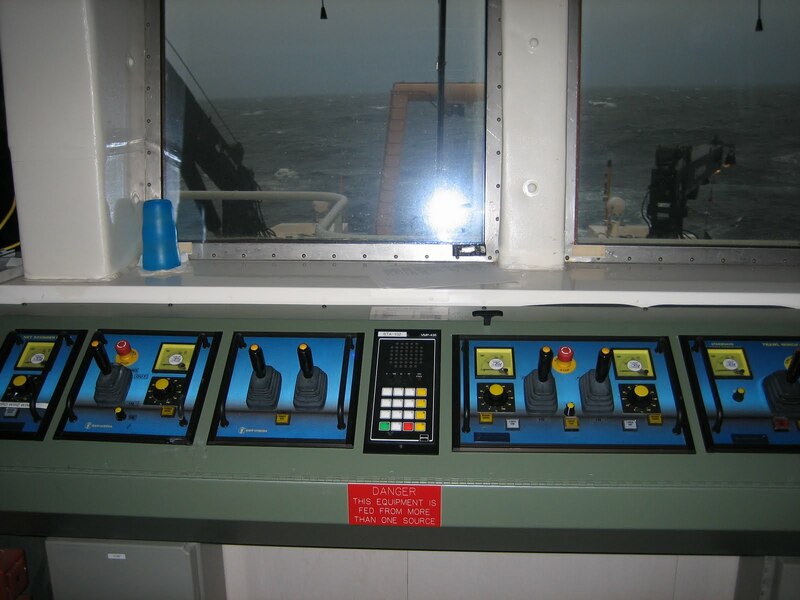 Although the sampling stations are randomly selected via computer before the cruise, Rowe works with the bridge to determine in which order stations will be sampled. 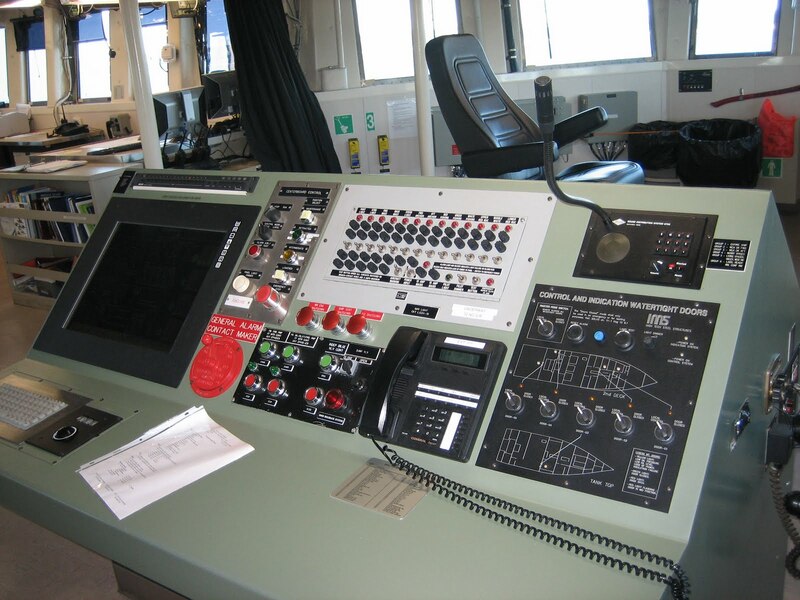 On this cruise she has consulted with the bridge often because the weather has impacted our travel so much. Rowe relates that the job of chief scientist is mentally tiring because she is really on call the entire cruise. 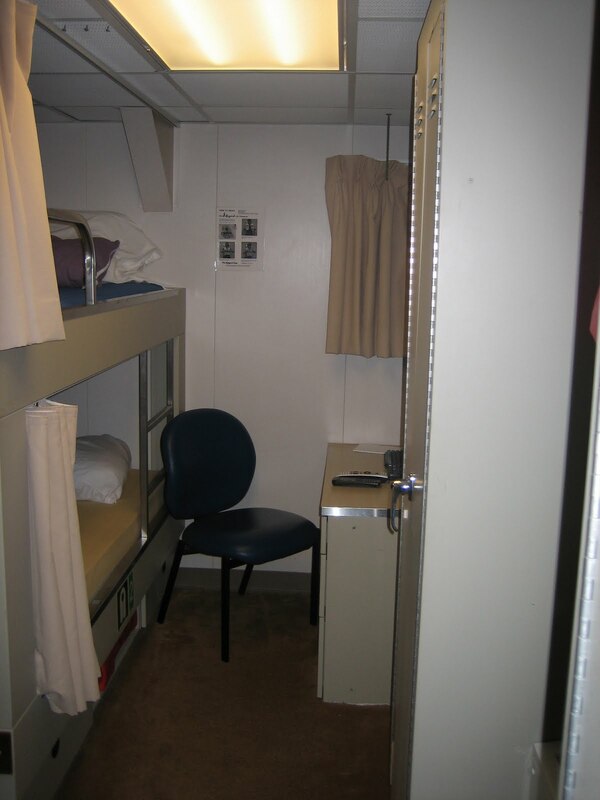 After the cruise, Rowe works with post-cruise management. She makes sure the samples collected are distributed to the scientists, and she audits data to make sure there were no errors in data collection. Rowe grew up in Florida and attended the University of Florida where she earned a BS in Natural Resource Conservation with a minor in Wildlife Ecology. During her undergraduate program, she studied sampling, and uses this information extensively in her job now. After she graduated from college, Rowe joined the Peace Corps. She spent over one year working in Congo, Africa on a fresh water project. Then, she spent two years on Palau in Micronesia working in marine resource management. Rowe has been with NOAA for eight years, now. She goes on five to six research cruises a year, which adds up to about sixty days for the entire year. 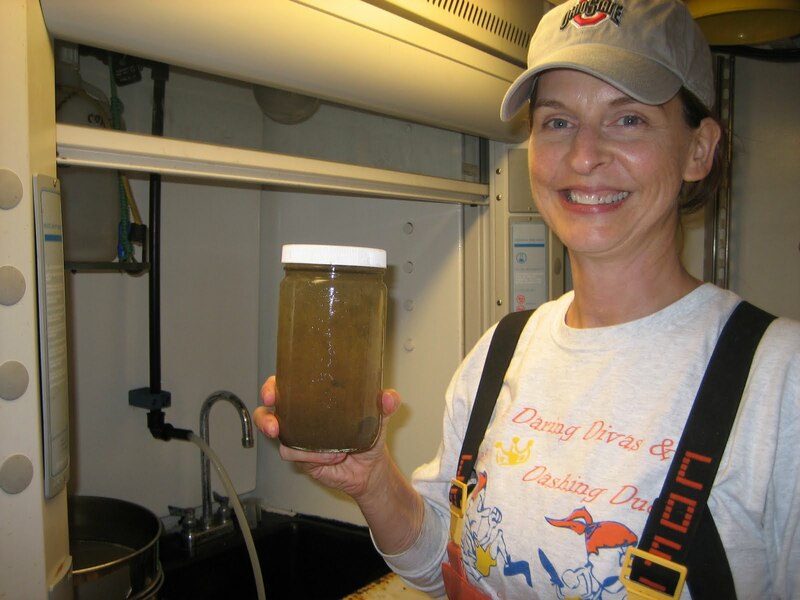 She serves as Chief Scientist on the majority of her cruises, but still enjoys the rare cruise when she works as a scientist processing catches. Rowe has some advice for young people thinking they might like a career like hers. First, get a degree in any science area. A marine science degree isn’t really necessary. Work experience is the really important key. Second, volunteer as much as you can. Volunteering to work on research cruises not only builds a resume, but it allows students to try it out early on in their school career to see if they like it. Stacy Rowe has strong interpersonal and organizational skills that are important for her leadership position, and I’ve enjoyed working as a volunteer scientist under her direction. 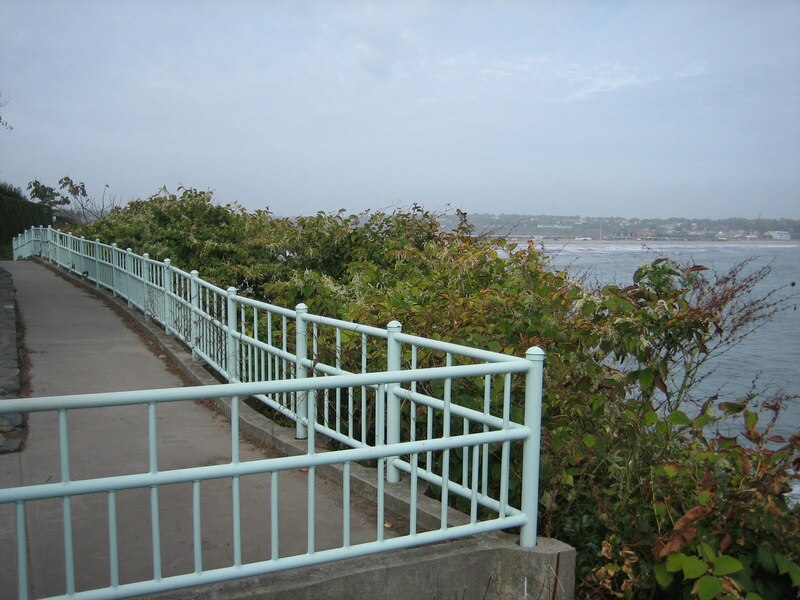 Newport, Rhode Island is a great place to visit. It was a center for shipbuilding and trade during colonial times, and is the birthplace of the U.S. Navy. Some of the United States’ wealthiest families built summer homes overlooking the bay, and these homes are open for tours today. I spent a nice afternoon on the “Cliff Walk” which is a trail that skirts around the edge of the estates just above the water. I had been there twenty five years ago, so it was fun to revisit the area. After two days in port, we are heading back out to sea. It’s a beautiful day. The sun is shining, and the waters are pretty calm. 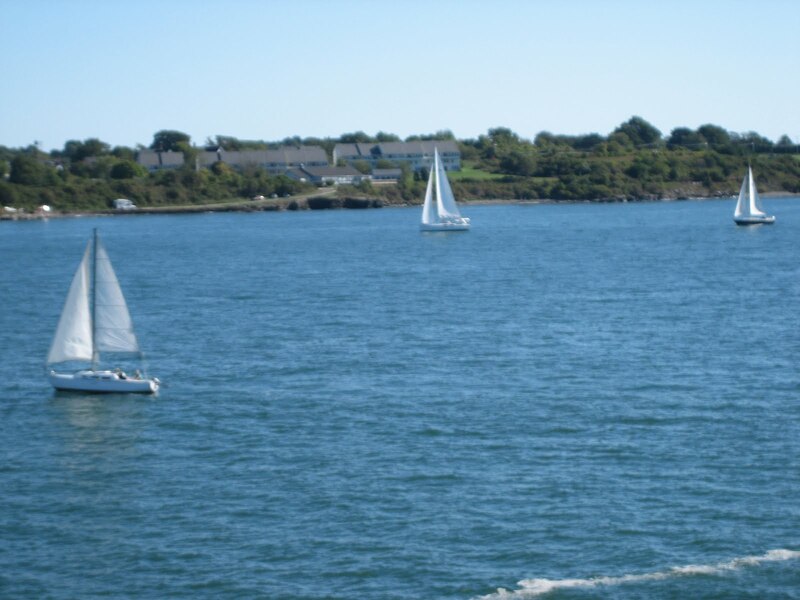 It’s hard to believe that we will be in rough waters once we leave Narragansett Bay. I’m riding up on the weather deck as we leave the bay, and I see many sailboats, two commercial cruise liners, Fort Adams (which has guarded Narragansett Bay since Colonial Times), Clingstone (a famous house built on a rock in the water), and the Newport (Pell) Bridge. I’m definitely putting Newport on my list of places to revisit. 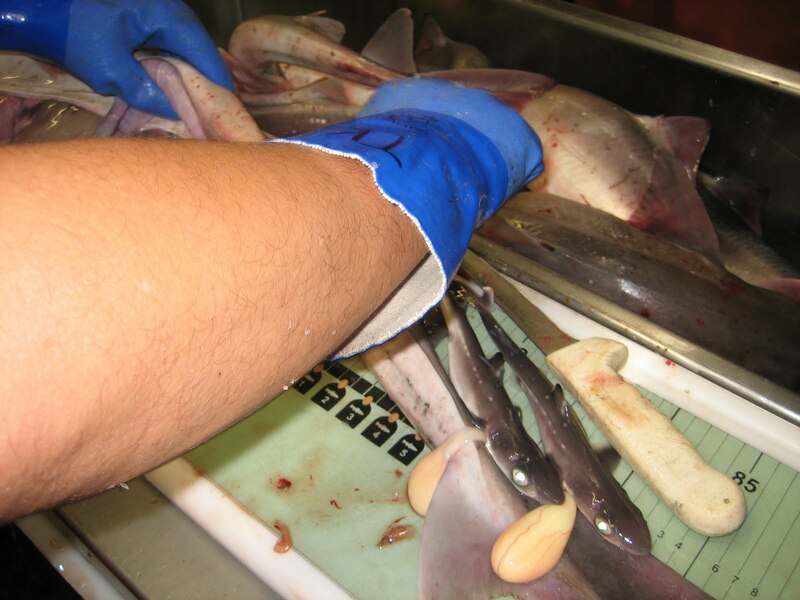 We have processed Atlantic Spiny Dogfish in the lab this week. 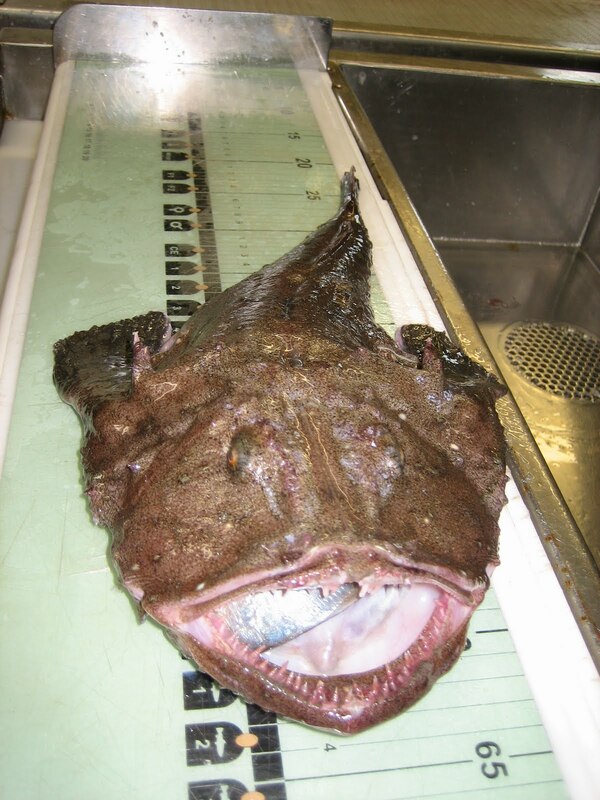 This fish isn’t very popular for food in the United States, but it is exported to Europe for “fish and chips.” In 1998, this species was overfished, therefore, there were limits placed on the numbers fisheries could catch. Since that time, catch levels have been rebuilt. 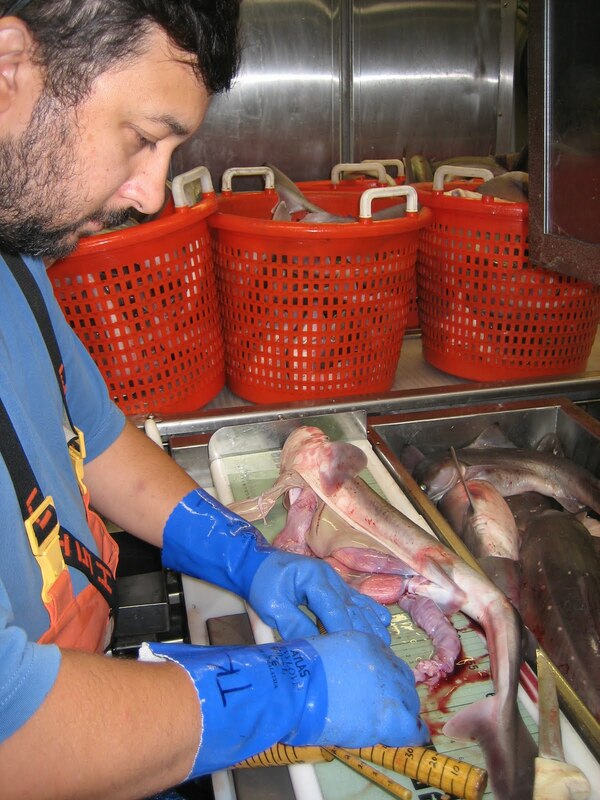 The Atlantic Spiny Dogfish lives a long time: females up to 40 years and males up to 35 years. Females are larger than males and give birth to between two and fifteen live pups. During gestation (18-24 months) the pups have a yellow sack at their necks called a “yolk.” The Spiny Dogfish, processed here by TK, was a female with six pups. You can see the yolk on the two pups in the picture at right.